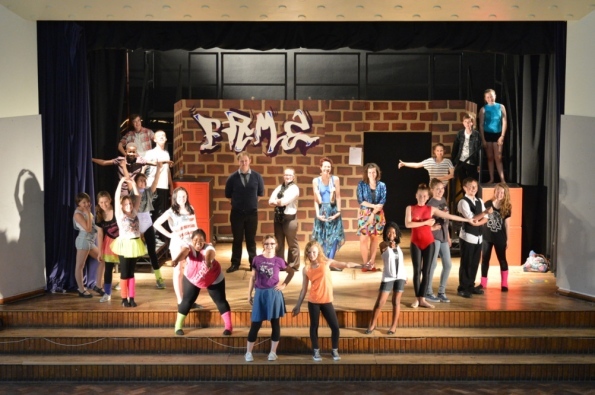 Grange students shared their artistic talents with younger children from other schools in their production of Fame. Hundreds of year six pupils from schools including Turnfurlong and Bedgrove Juniors were invited to the musical this week and drama teacher Dan O’Shea said they really seemed to enjoy it. He added: “The production has been a really enjoyable experience for everyone involved. “Pupils have developed their communication skills, confidence and enthusiam and of course their passion for the performing arts. Mr O’Shea directed the production while music teachers Peter Fisher and Greg Ingram were the musical directors. The drama teacher said special mention must go to Year 12 students Elise Devanney and Nicole Corlett who choreographed all the spectacular dances in the show. This year’s production was in stark contrast of last year’s offering, Shakespeare’s A Midsummer Night’s Dream.